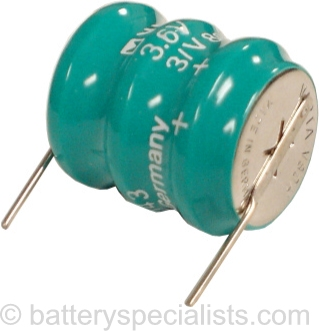 This is a 2 cell Nickel Metal Hydride rechargeable for printed circuit board mounting. This has 2 pin polarized termination and solders directly to circuit board. This is a 3 cell Nickel Metal Hydride rechargeable battery for printed circuit board mounting.